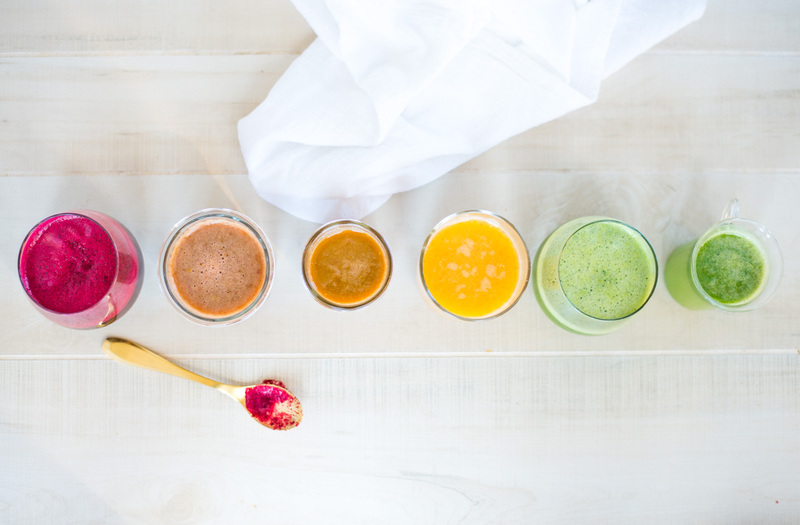 One of the most common questions I receive is on juice cleansing. Is it safe? Is it effective? 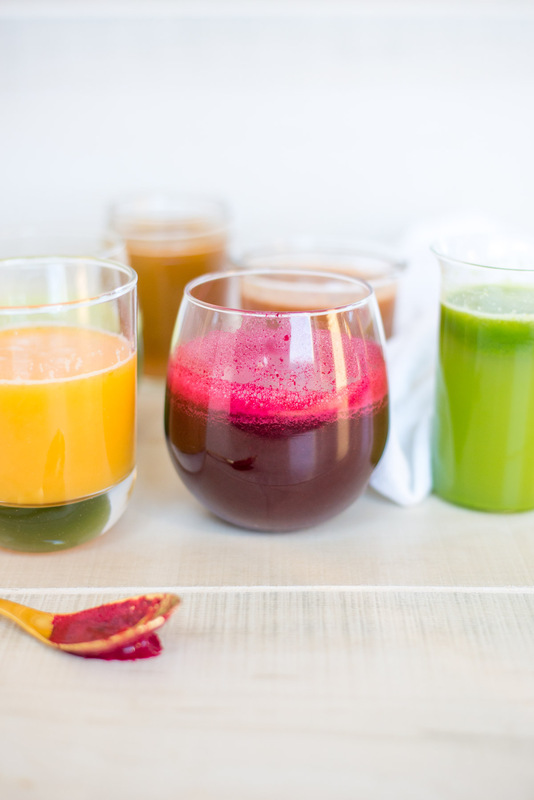 Simply, should you do a juice cleanse? No matter what type of cleanse your jumping on, there’s bound to be controversy. The words “detox” and “cleanse” alone can leave some cringing while on the other side there are just as many people who are incredibly hopeful that this may actually work. So maybe the better question becomes to cleanse or not to cleanse? We could talk all day about the reasons for cleansing, the benefits and why we all need a good cleanse, in this lesson we are going to more specifically address if you should do a juice cleanse or not. While there is strong opinions on either side I think the question is less about juicing and more about longevity. You see, the idea of cleansing mostly boils down to a quick fix. But where has a quick fix gotten you if habits, a change in life, aren’t learned in the process? Most likely right back to where you started, or worse. In this post, I want to address juicing and if it is something we should or shouldn’t be doing. We’ll talk about juicing how to’s, what to juice and reasons why you should juice. Before we can talk juice cleanse I think it’s important to understand what the purpose of a cleanse is and its role in the body. The true biological function of the body is that it cleanses itself. It has a very regimented and vital function of clearing out toxins and other junk that backs it up on a regular basis. The problem is, this system can get overwhelmed. Once your body meets the max threshold, it suffers. You get “clogged” with waste that is being built up in your tissues, in your blood and in your fat cells, only leading to nagging symptoms of disease, weight gain, and even cancer. While there are loads of gimmicks on the market promising to cleanse your body, the only way to true and lasting healing is to allow your body to do the job that it was designed. To heal itself simply by taking away the toxic load, and then pumping your body full of as many natural and life-giving nutrients as possible. Cleansing isn’t just a temporary thing. It’s a lifestyle change. A total revamp so that your body no longer has to take the hit and carry the burden. Unfortunately so many just address the temporary and forget that disease and your weight isn’t just a temporary thing but a lasting thing. We forget that it takes time to build disease, to get cancer and put on weight and it can take just as much time to get back to a healthy state. The bottom line, cleansing is essential for healthy functioning of your body. But cleansing should be more than just a quick fix or taking mounds of pills. Cleansing is about restoration, rejuvenation and creating a life change. There is a right way. For now, lets break down the difference between juicing and smoothies. It think this is like comparing apples to oranges. They both have different purposes and need to be understood that way. Is one better than the other? I used to think so, but the more I dig and understand I realize that they are just two totally different things. The reality is that as a society in general, we are no longer consuming the recommended number of vegetables and most of us not even the recommended amount of fruits. Therefore it’s hard to make the argument that juicing just provides quick energy when we need to remember a few things. If we made vegetable juice and squeeze the liquid housing all of the phytonutrients and other vitamins and minerals into this fresh glass of pressed juiced, isn’t this better than not eating vegetables at all? 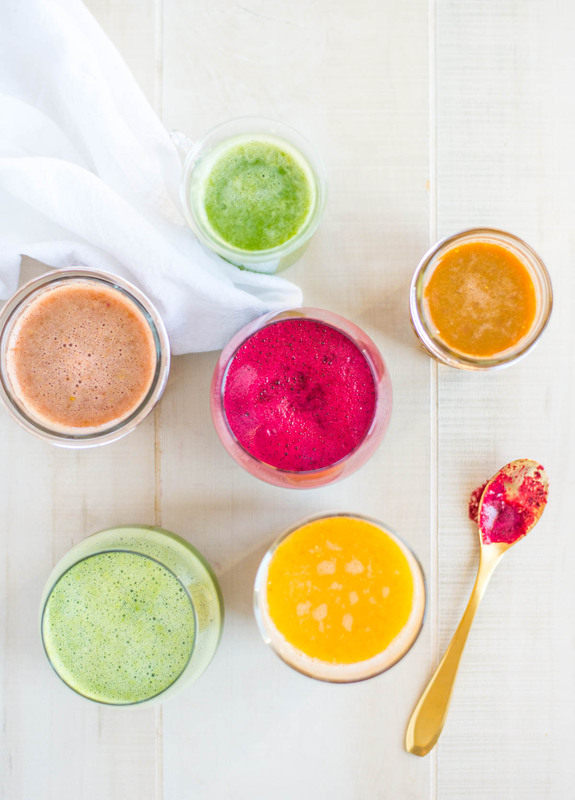 Juicing and smoothies (blending) are both great ways to include a lot of produce in our diet and more importantly a great way to dig into a variety. So lets take it back to the basics and understand each. But regardless of which one you choose or utilize, it’s more about quality. Quality of the foods you use rather than arguing their purpose. The big difference between juicing and blending (smoothies) is removing the insoluble fiber, the pulp from the final product. This makes juice what we call a quick release. There is little digestion that needs to occur because the fiber, the pulp, has been taken out so your body is able to quickly absorb the nutrients, pulling in nearly 100% of these. While it is easy to recognize that the liquid contains the sugar, we must also remember that same liquid is loaded with the vitamins, minerals, antioxidants, anti-inflammatory compounds, and phytonutrients all jam packed in one easy-to-sip hydrating drink. Honestly, it provides a quick burst of lasting energy, partly due to the natural sugars but also to the massive punch of nutrients it provides your body. This is true energy and much more effective than the energy you receive from your morning coffee or the energy drink you need mid-day. While juicing is something that we should embrace, we also need to take word of caution on what you are juicing, aiming for the higher nutrient vegetables more than the fruits to lower the sugar load while obtaining as many nutrients as possible. The flavor will also be surprising better if you stick to mostly vegetable juicing and abstain from adding too many fruits to sweeten it. Not only will the flavor profile not be as good, the sugar content will go up and your digestive system will not be as happy with the results. The combination of fruits with starchy vegetables creates extreme gassiness in most people. So avoid eating fruit with starches in general but especially in smoothies and juices. The profile of smoothies and blending is just the same as eating the whole fruit or vegetable. It is just a pureed form leaving behind everything you normally would eat including the fiber. Smoothies are intended for a sustained release. To fill you up. To slow digestion and use more as a meal replacement, whereas juicing is used in addition to a meal. While some argue that smoothies are healthier because nutrients are lost in the pulp upon processing, the truth is, nutrients are lost with the pulp no matter what situation. Even in the GI tract some of the nutrients are going to stay entangled in the insoluble fiber where it eventually just gets excreted out. This is are part of the process on either end. Obviously there is no argument, juicing and blending are great ways to increase the load of nutrients on our body. While there are arguments in favor of juice cleansing I’m just not sold for a number of reasons. – It leaves out giving your body enough protein which is the key building block. – It is hard to consume enough healthy fat which is the foundation of inflammation reduction and your immune system. – It prevents you from chewing which is the starting point of our digestive enzymes, leading to them not functioning properly. – It is a quick source or nutrients, not a sustaining one leaving most people hungry. Those are the big reasons why I would never recommend embarking on a strict juice fast, but more than these reasons I think the big one is simply that it isn’t a sustaining practice. It isn’t practical for this life to continue. While I believe juicing is good, I think more of us could benefit from juicing, I don’t think living off of juice is a practical way to live the rest of your life. The bottom line is we have to start developing practices that can be sustained, that are realistic. Practices that in the end lead to lasting health. So nix the juice cleanse and instead just make it a part of a real foods cleanse focused on healing your body while creating practices that can be sustained. But coming back to juicing, what should you juice? Remember it is about quality over quantity so make sure you dig into the dirty dozen list and buy as many clean and organic when possible fruits and vegetables as possible. As always make sure you give them a good cleaning as well. Remember to avoid combining any fruit (other than potentially green apples) with starchy vegetables like carrots and beets. Combining these two things in any combination can lead to gassiness and bloating. Prep all the fruits and vegetables, with the inedible parts removed (to prevent bitterness). Make sure to wash all produce and place in a juicer or high speed blender to blend and strain. Remove peel or outer rind if necessary. Pop in the juicer or blender. If blending puree and then strain in a nut milk bag or tea cloth squeezing until all the juice has been released and the pulp is dry. If in a juicer, let it do the work. Store in an air tight mason jar or glass container for up to 48 hours maximum. The answer depends on what definition of “wasteful” you use. Yes, it’s hard to deny the fact that juicing leaves behind some content of the fruit and vegetable. However, when speaking on the fact that most people are not starving on a macronutrient (caloric) level but on a micronutrient level, our bodies are not getting the micronutrients they need in order to work functionally, let alone optimally. Because we’re not eating enough fruits and vegetables and the ones we are eating are not as nutrient-dense as they used to be. Juicing is one way to get a mass amount of micronutrients in your system so viewing it as wasteful is only viewing calories or macronutrients as important and not looking at the micronutrient ratio. On top of that you can get creative with those juicing leftovers if you want or just compost them. There are countless juicers on the market and I’ve only had my hand in a few so I’ll leave you with my recommendations but know there are many more. And now I’ll leave you with my favorite juice recipe, Rise and Shine Energy Boost Juice. 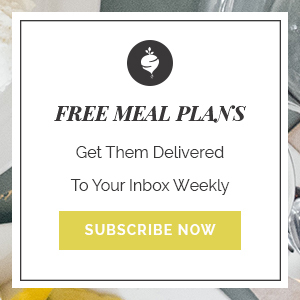 If you’re ready to start trying to add juice to your normal routine, make sure you download my simple detox guide for more recipes and tips. Wash all produce and chop into smaller pieces.